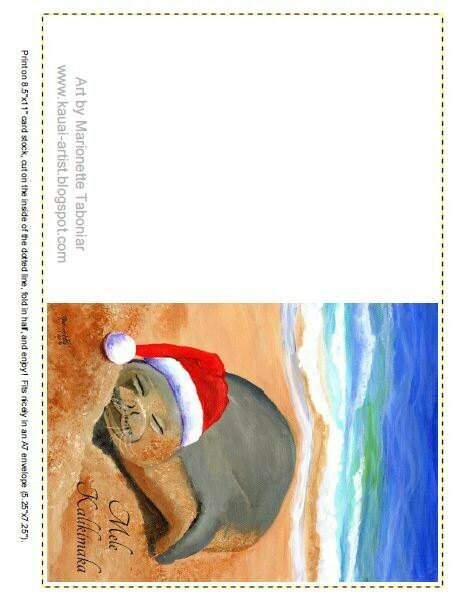 I recently saw this super cute Hawaiian monk seal take a nice nap on the beach. I think he is dreaming of his Christmas presents! "Mele Kalikimaka" means "Merry Christmas" in Hawaiian. 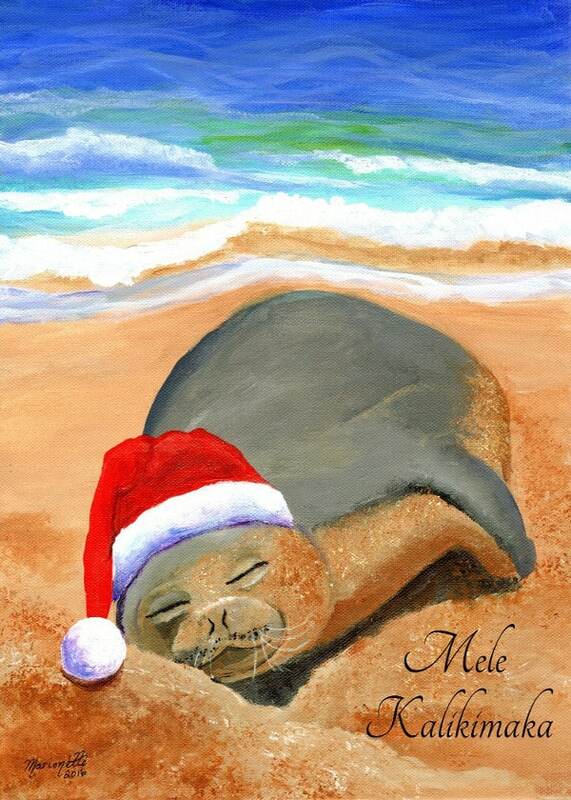 The artwork featured on this card is from an original acrylic painting titled "Mele Kalikimaka Monk Seal". Adorable! I am very pleased with the quality of the downloads, and how quick I received it, following payment. They printed out "perfectly"--as good as the photos displayed in the description. I used a special high grade "water color" type of print paper, so all the details showed up beautifully! It looked like a freshly painted watercolor!